Aero Tech Designs custom introduces the new Rush Running Singlet. Design in our USA Factory, our singlet is perfect for short or long distance races because it has a great fit and made from breathable fabric. The Rush Singlet has special binding on the edges of the jersey to prevent hot spots from forming under the arm from the constant arm swing motion. Want a custom jersey? We can Help! 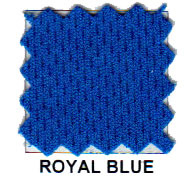 The fabric that is a high grade polyester that can be fully covered with any amount of designs, colors, text, or logos. It can hold any design for multiple years and even provides sun protection to help keep the sun from over heating you on those summer runs.